Be forever remembered through a gift that will help us achieve our goal of Opportunity And Knowledge Strengthened. 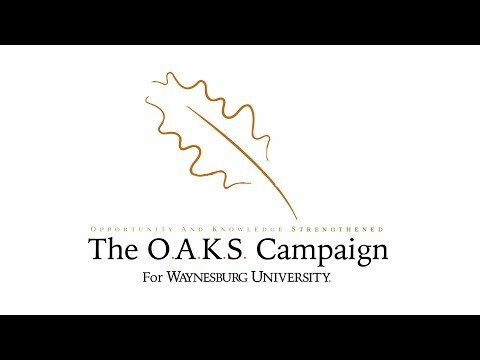 Your support will leave a lasting legacy, and The O.A.K.S. Campaign will build upon our incredible foundation and strengthen our future—and the future of all the students yet to find their higher purpose through our higher education. As private institutions face numerous challenges, Waynesburg University is working hard to adapt to changing financial times and ensure that this important institution remains healthy and strong for centuries to come. This five-year comprehensive fundraising initiative aims to double the 92 endowed funds we currently manage, in the form of additional endowments and major gifts.